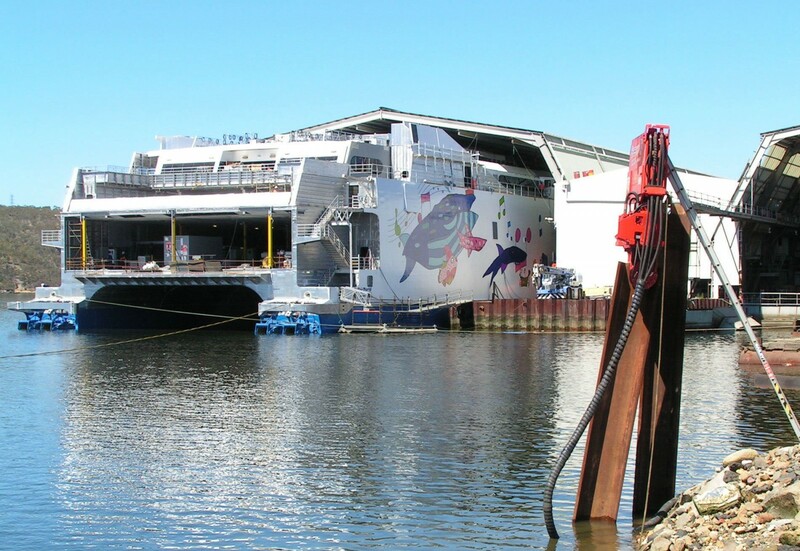 Product improvements and lessons learnt from decades working with the commercial sector have enabled Incat to deliver proven and tested craft. 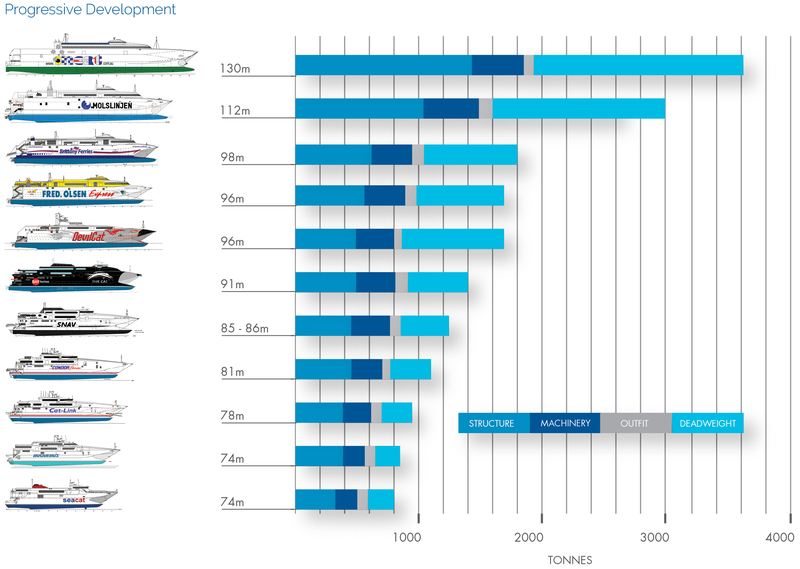 Since the first 74 metre high speed passenger and vehicle ferry was delivered to the UK in 1990, there has been a gradual but constant incremental increase in vessel waterline length and deadweight, while still maintaining the high speed that Incat is famous for. 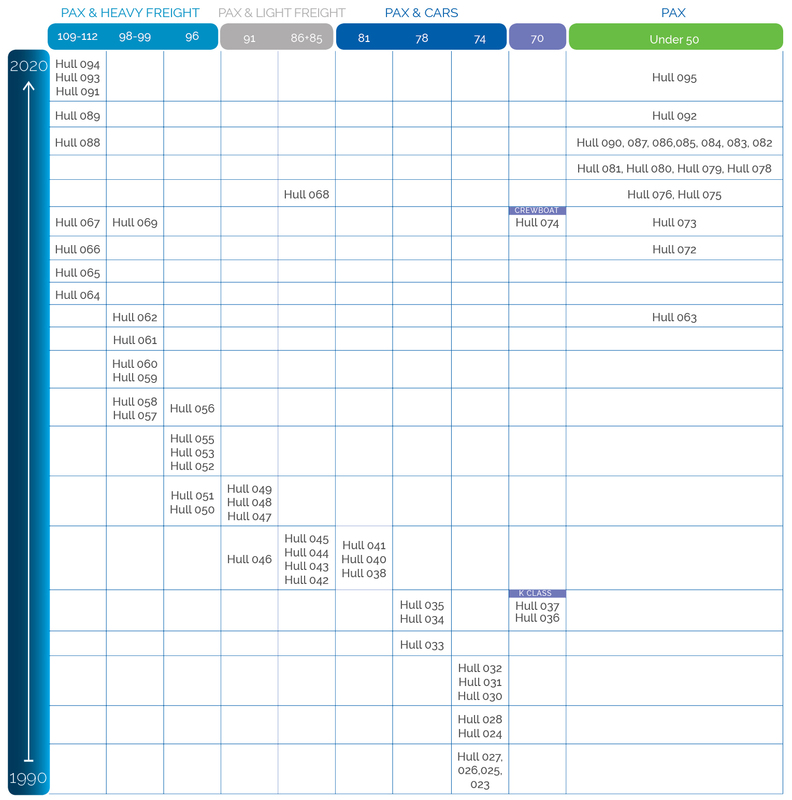 Payload has increased significantly as the vessel length has increased. 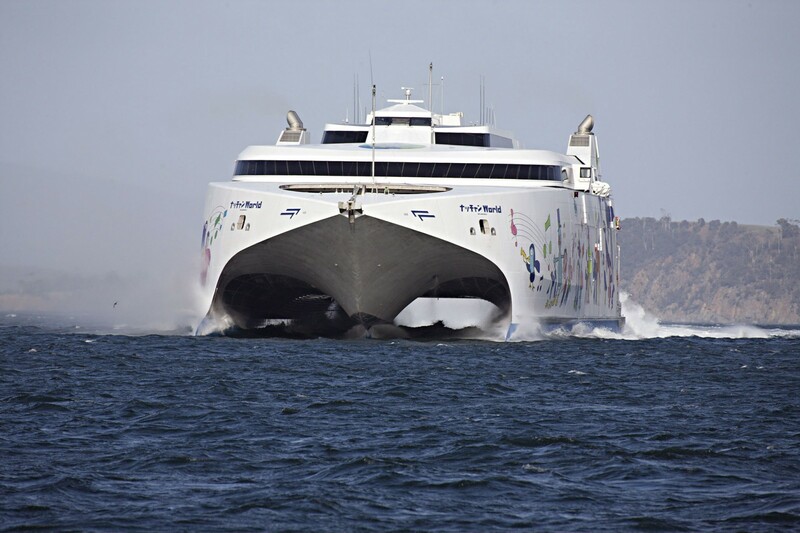 Incat craft have universal appeal offering fast transit, fast turnaround in port, flexibility and versatility in vehicle deck layout, passenger comfort, shallow draft, minimal crewing numbers and reliable and economic operation. 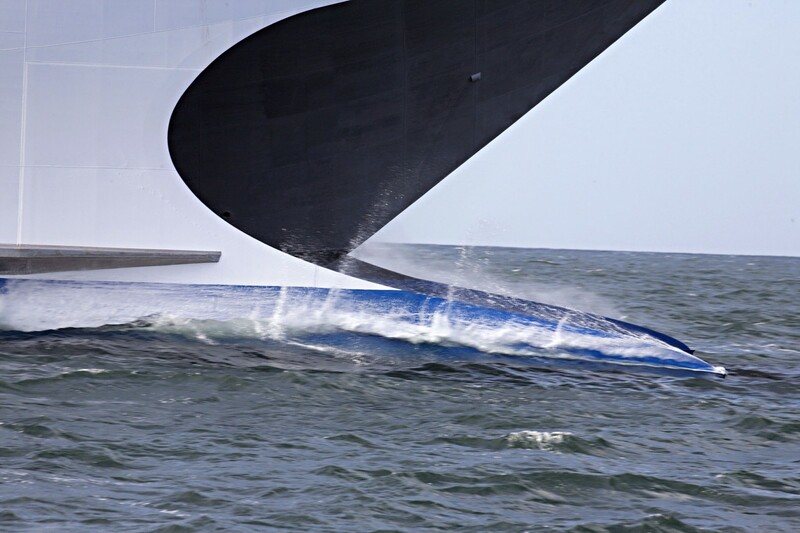 A great diversity of craft has been built, from yachts to large Wave Piercing Catamarans. 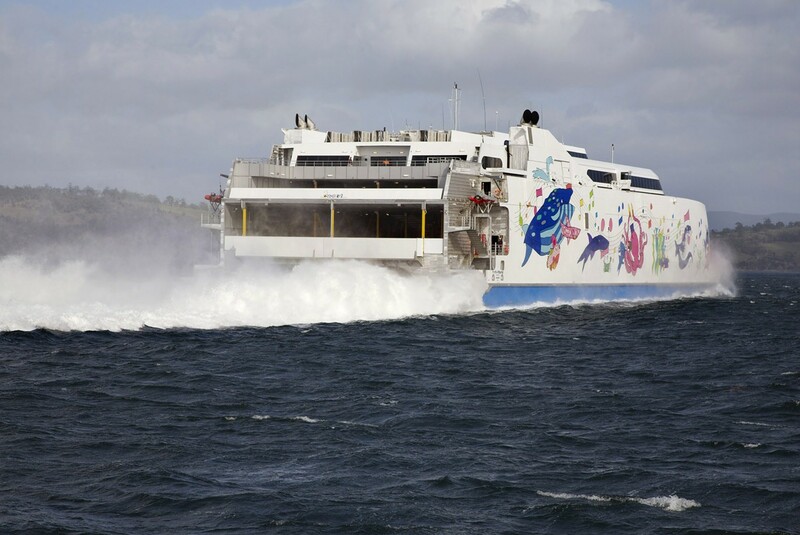 Incat vessel generations have progressed through to the current designs – 70 metre, 85 metre, 98 metre, 112 metre and 130 metre. Diversification within this range is evident with variance in passenger numbers, vehicle and freight capacity and configuration. 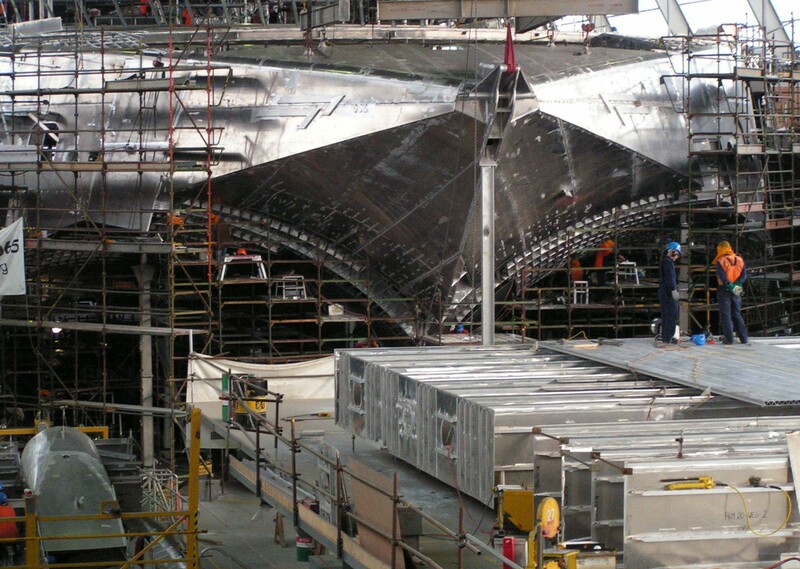 A great diversity of galley and other support facilities are possible to suit each owner’s operational and route profiles.